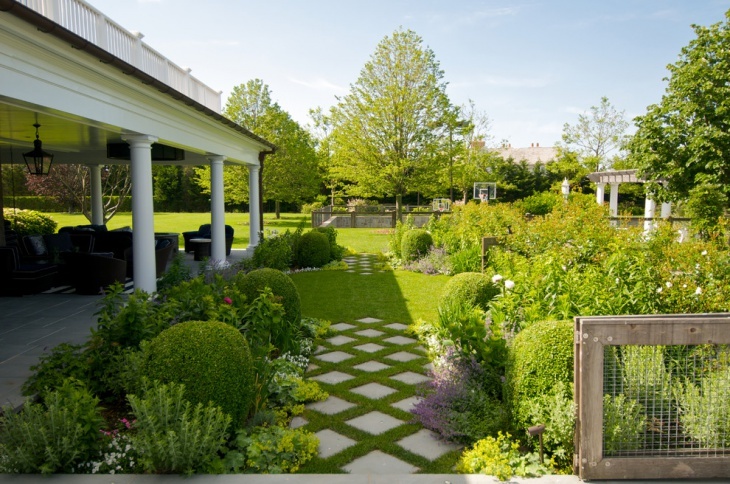 If you are fond of gardening, you would definitely crave to have a sunken garden in your backyard. 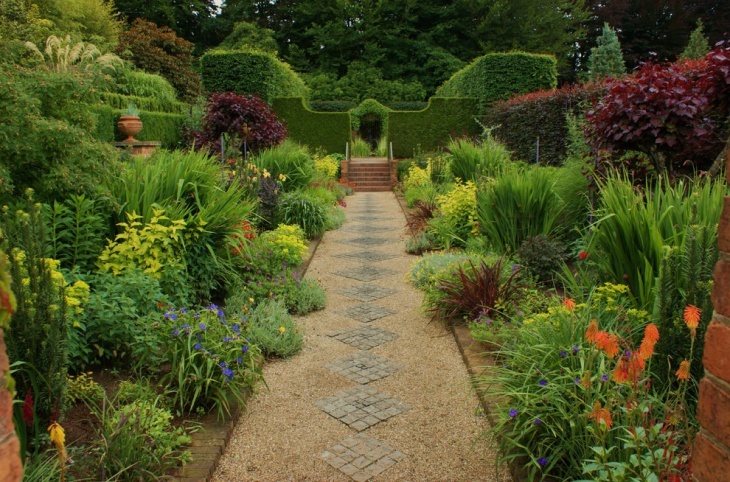 While people are crazy about the traditional raised garden ideas, there are certain advantages of the sunken gardens. 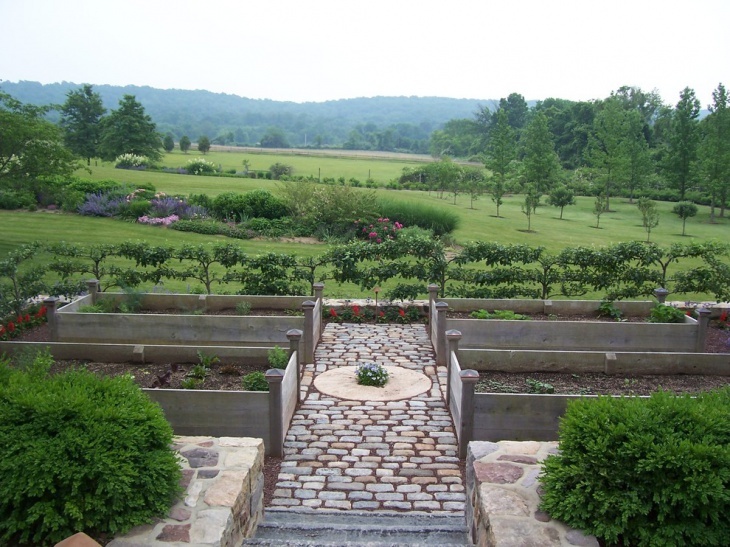 In these gardens, the topsoil is removed to create a nice place for planting the saplings. 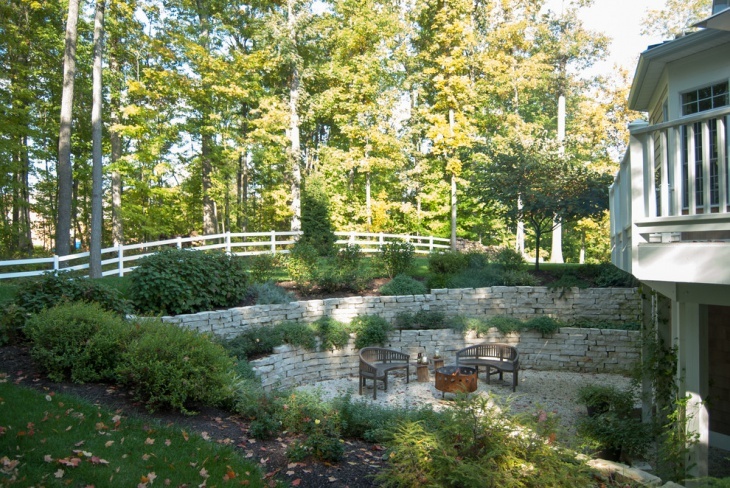 It provides additional scope to retain manure and moisture, you will find some of the most pleasing gardens. 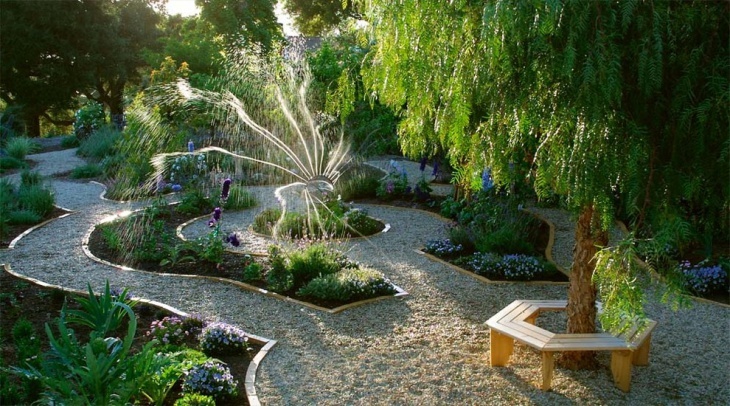 Here we present you with ten sunken garden design ideas that you may love to incorporate. When you want to pamper your eyes with the green wilderness, craft a sunken garden bed in the midst of a walkway or beside the path. With a cobble-stone finish, the setting looks beautiful. Make a rounded platform around it to allow the pleasing marvel to mesmerise the viewers. 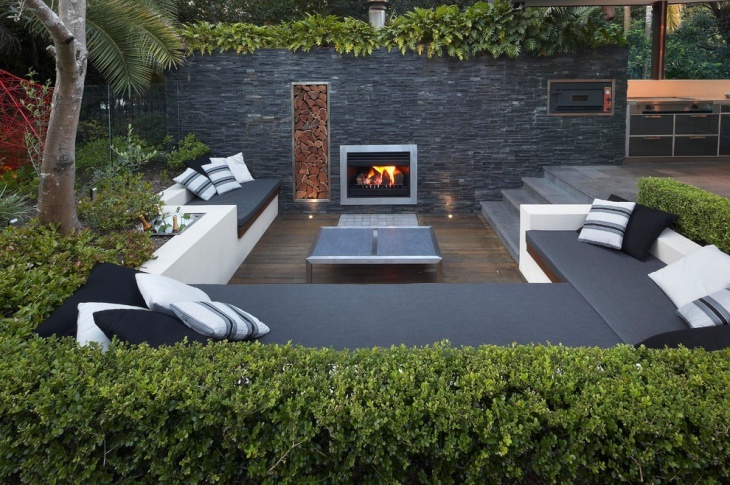 You can get in touch with one of the most luxurious settings when you have the outdoor sunken seating area. With the personalised greenery growing all around you, you can plan some comfortable sofas and cushions. These will deliver you the liberty to relax and enjoy the comfort in the garden. Prefer the darker shades of grey for the sitting arrangements to make a good contrast. 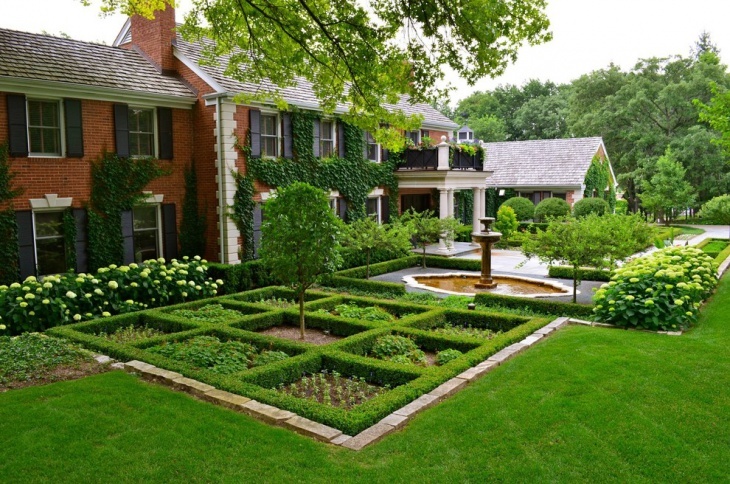 If you have a taste for antiquity, you will love to incorporate the vintage sunken garden idea at your backyard. You will find it easy to maintain the flowering plants. In the centre, you can make some sitting arrangements with matching furniture. The backdrop of the garden should be like a rocky wall. 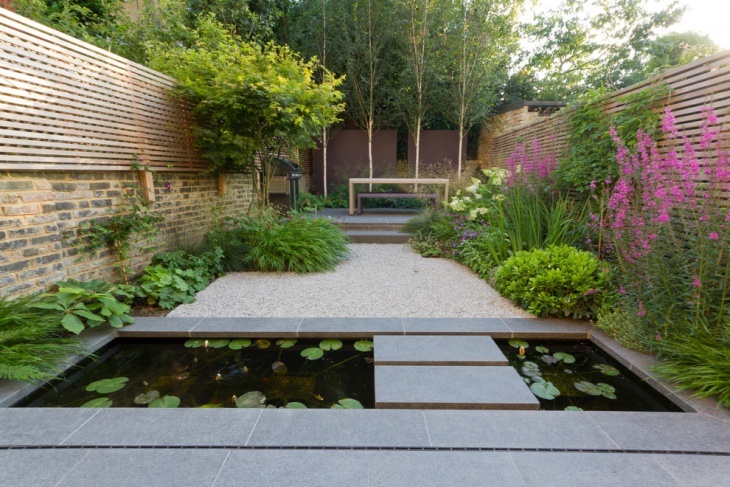 This is one of the exotic sunken garden ideas that you would definitely fall in love with. With lush green plants growing beside the low-lying space beside the pond, you will have the freedom to cherish the beauty with an elegant setting. Plant shrubs with pink flowers to suit the greenish water of the pond with lotus leaves. This is a seamless blend of comfort and beauty. Get in touch with the outdoor sunken seating area and enjoy the perfect bliss of greenery. With a miniature of a drawing room, you can enjoy watching your favourite TV programmes in the outdoor sunken garden. 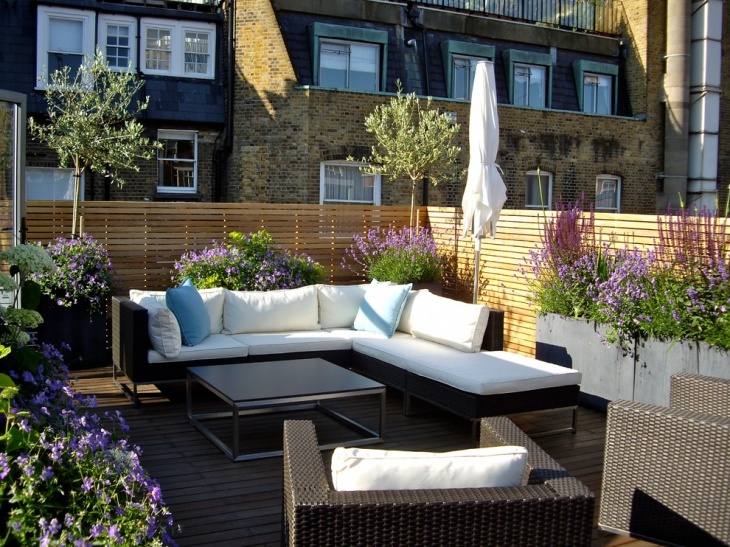 You can transplant the sunken garden idea on the rooftop, and get a perfect sitting arrangement amid the beautiful flowering plants lighting up the scene. With comfortable sofas in spotless white cushions, you will enjoy the cosy setting in the sunken garden. 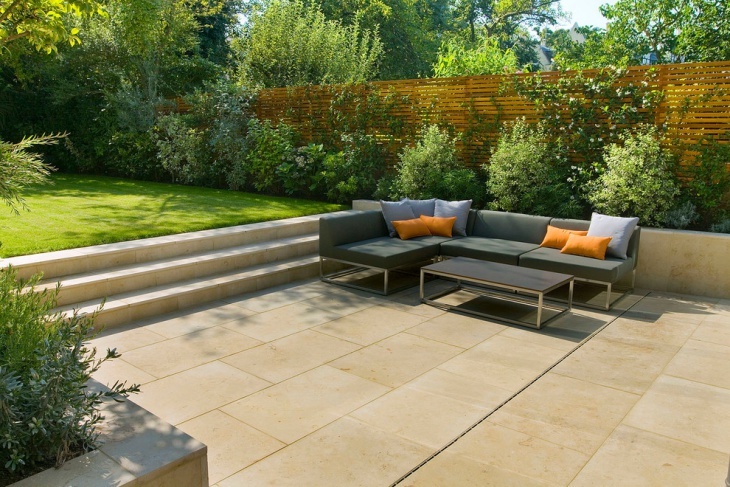 The sunken patio garden idea can be masterfully incorporated to deliver one of the best sitting arrangements amongst the parlours of nature. 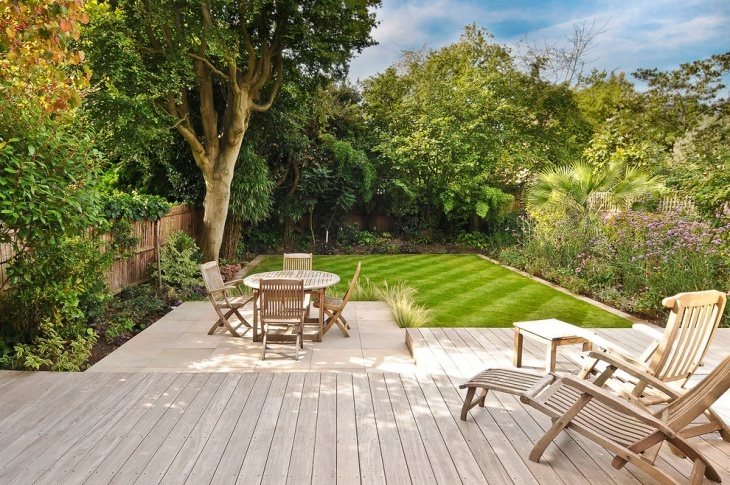 With the ideal wooden furniture surrounding a meadow with rolled turf, you can have a variety of mid-sized shrubs and trees in the garden. 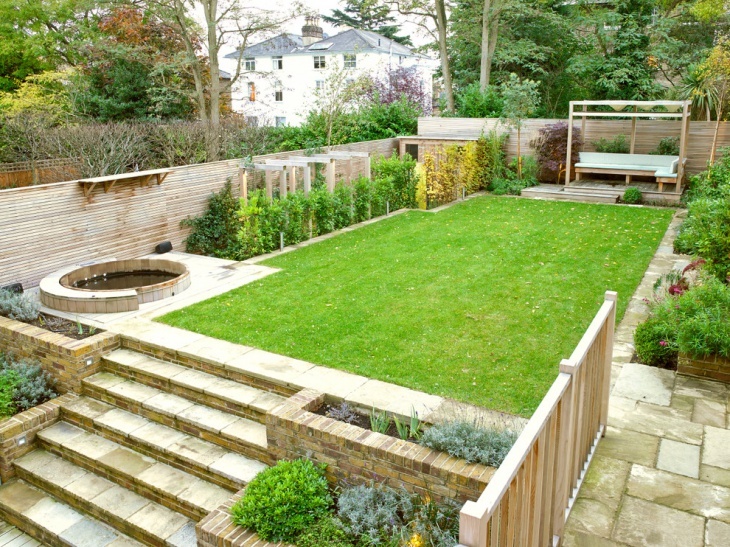 You can opt for the sunken garden at the back of your home to create a beautiful asset shrouded with greenery. 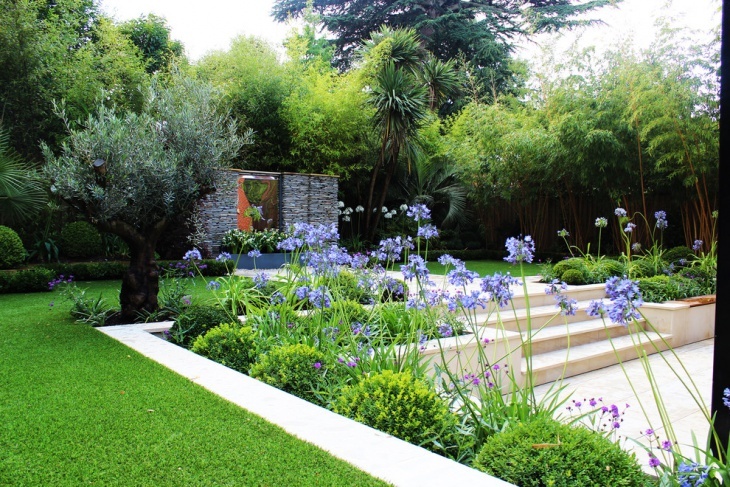 With a rectangular green carpet in the centre, plant medium sized plants all around the borders. You can use marble slabs for the stairs and paving, and this will create a wonderful setting at your backyard. 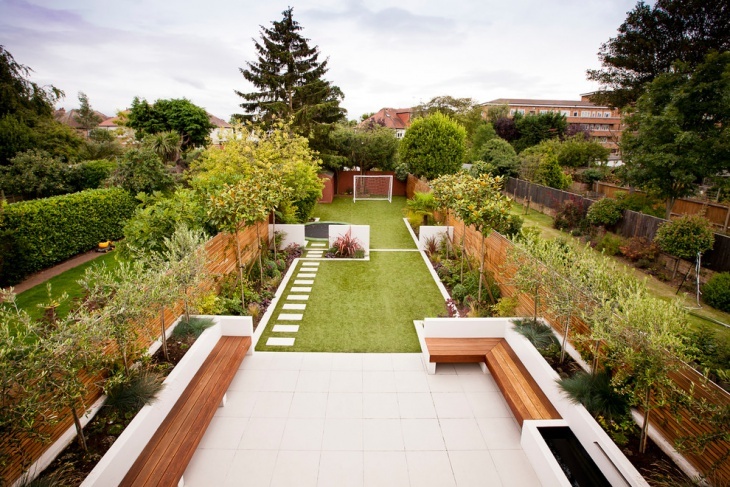 A garden is an asset that you tend to personalise. 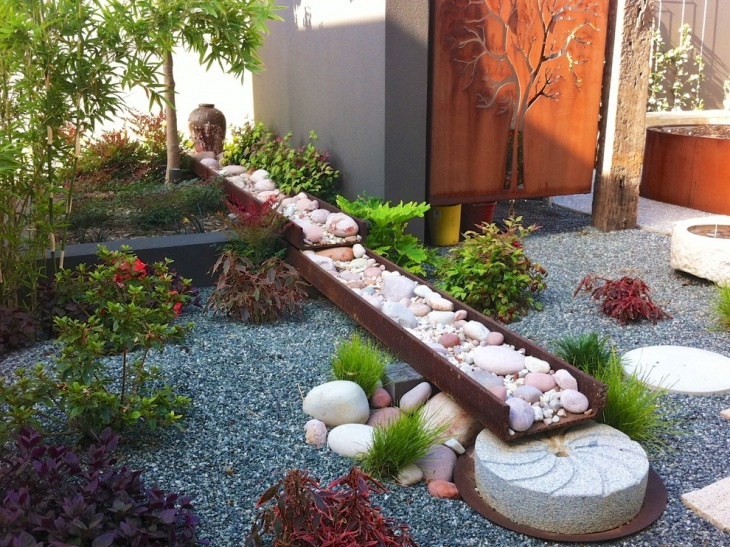 There are a number of beautiful ideas that you can incorporate while building the gardens. 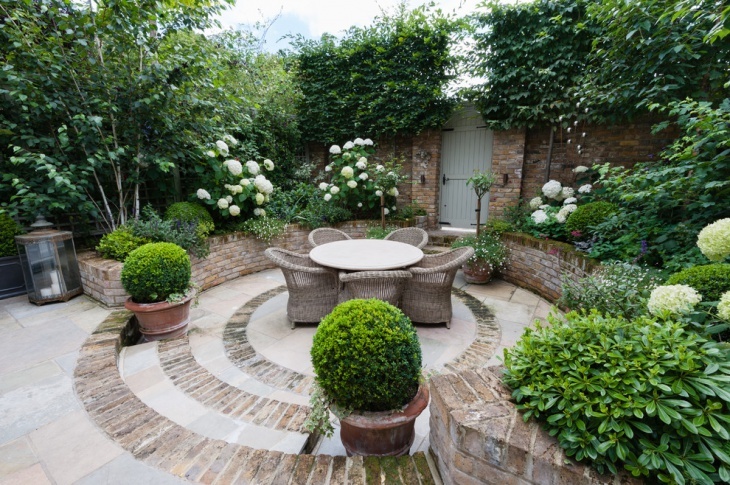 So, make sure to get the perfect settings around the garden to complete the beauty. If you have similar ideas, feel free to let us know.